Cesium-137 irradiators once were considered the most effective technology for irradiating blood and are effective for research irradiation. As a result, source-based blood and research irradiators can be found in hundreds of hospitals, blood banks and research centers across the U.S. 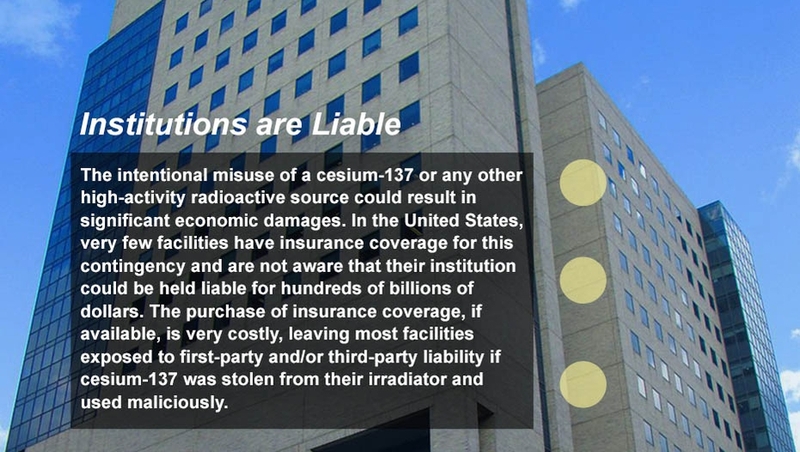 Unfortunately, commercially available cesium-137 also is a highly radioactive and highly dispersible isotope, and many of the irradiators that contain it are poorly secured and vulnerable to theft. 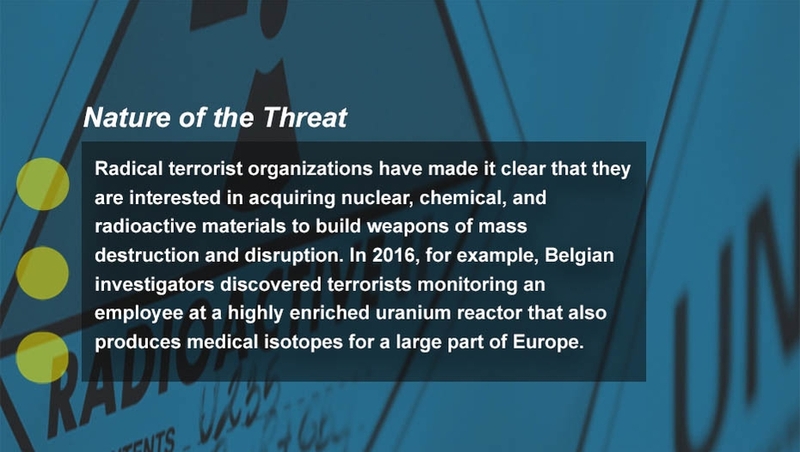 Terrorist groups have said they want to acquire and use radioactive material in a dirty bomb – and the consequences could be devastating: billions of dollars in damage due to the costs of evacuation, relocation, and cleanup, as well as severe economic and psychological repercussions. 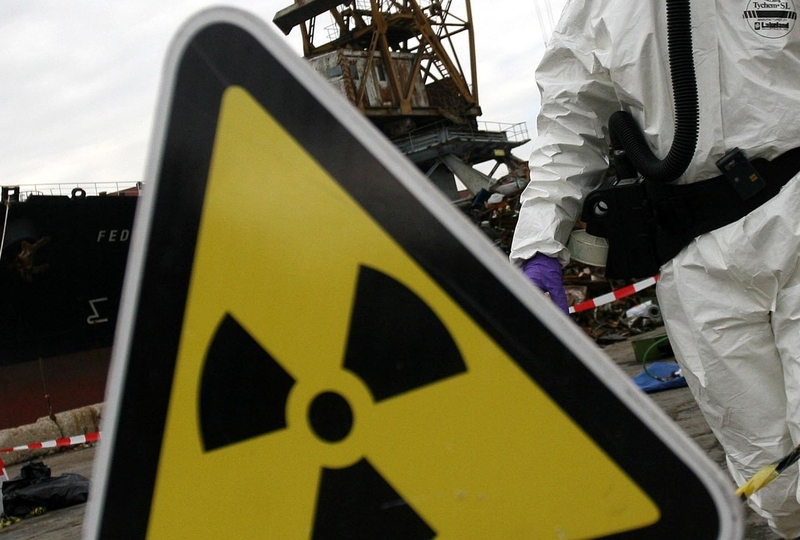 Access to a contaminated area could be denied for years due to lengthy clean-up operations. This must change. And there is good news: Today, there are safe, effective, affordable, and federally approved alternatives. Cesium-137 irradiators can be replaced with non-radioactive irradiators that use X-ray technology. 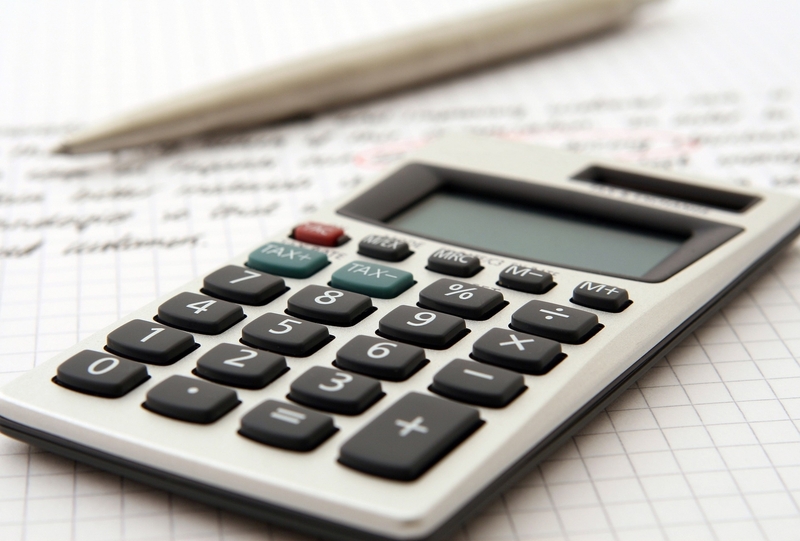 This eliminates risks and reduces liability for hospitals and research centers. 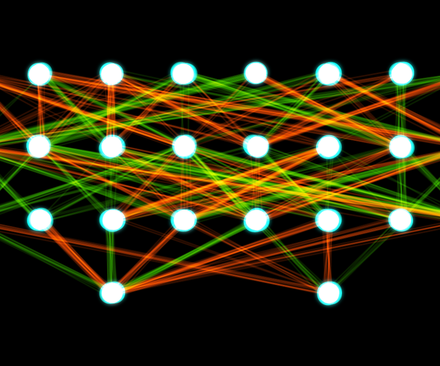 Use the arrows on the left or right side of the images below to scroll through and learn more. 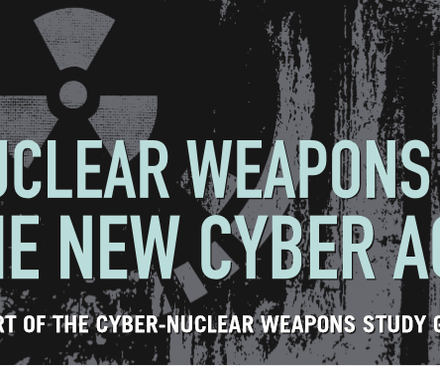 There is an insufficient awareness of the real risks associated with cesium-137 and the alternatives that are available. 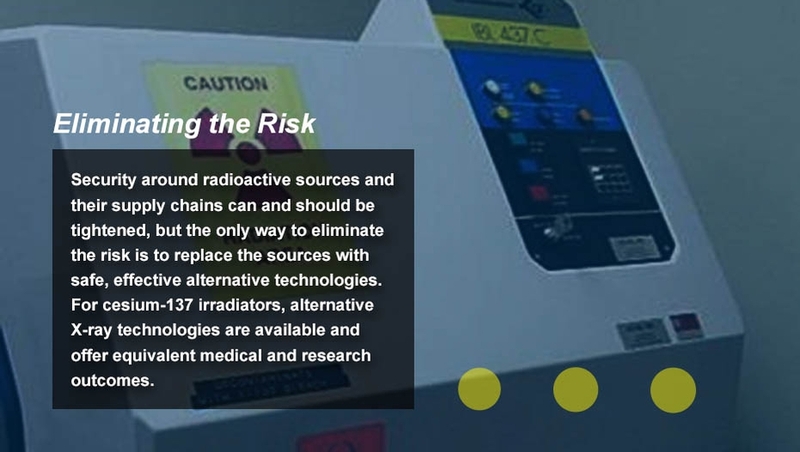 There is an opportunity to replace cesium-137 blood irradiators with alternative X-ray technologies at a reasonable cost, and we are prepared to work with Congress, the administration, and others to help promote this goal. 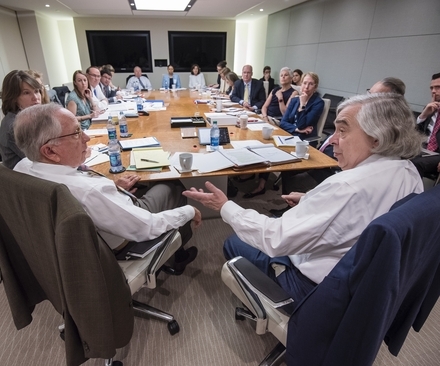 NTI has worked with local, state and federal government officials as well as industry on strategies to better secure radiological materials. 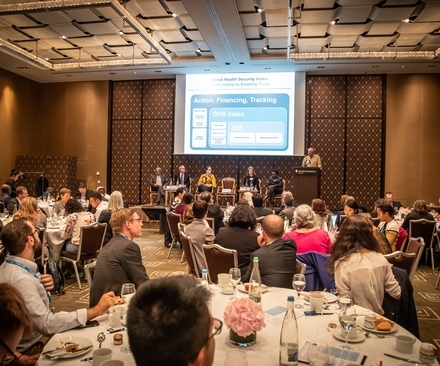 We developed this resource to share lessons and information as well as provide worksheets and papers to help hospitals and research institutions explore safe, effective alternative technologies—reducing the risks to those institutions and to all of us. 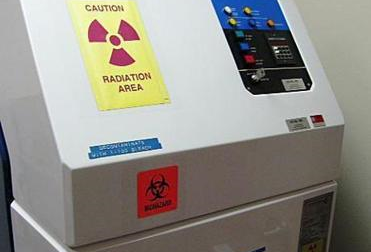 In New York City, Mount Sinai Hospital has replaced all of its cesium-137 blood and research irradiators with X-ray technology, and the city’s Department of Health and Mental Hygiene has engaged in a city-wide campaign to eliminate all dangerous radioactive sources as quickly as possible. 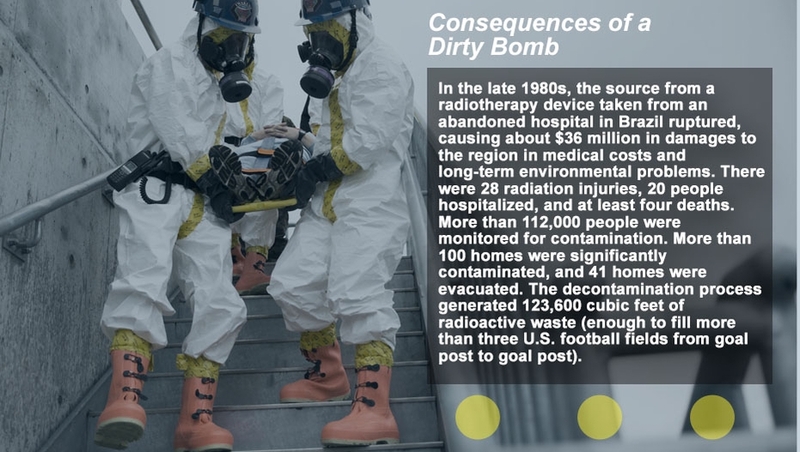 In Atlanta, NTI worked with Emory University Hospital, which received a Medical Innovation Award at the 2016 Nuclear Industry Summit for its efforts to reduce radiological threats by replacing a cesium-137 blood irradiator. 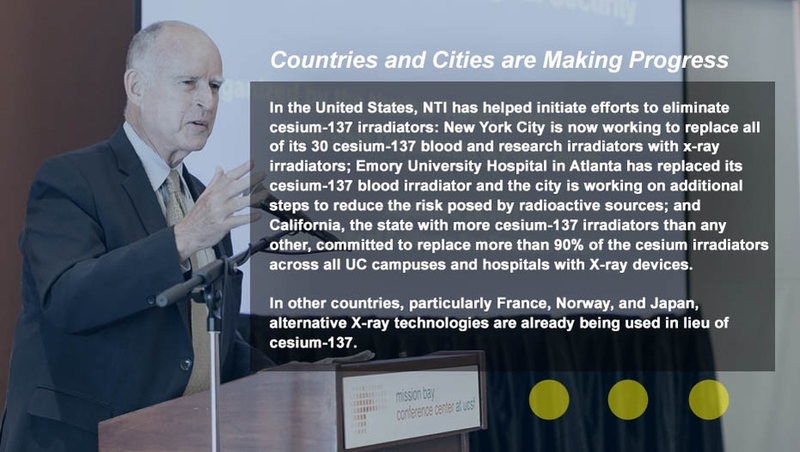 NTI also is working with officials in California, which has a large number of radioactive sources, to address the risk. Want to learn more? Leave your information to receive updates from NTI.